After being lampooned as a pariah for the longest time, Buffalo Bills legend and current Oakland Raider ​Nathan Peterman could be the catalyst for something positive. A popular yearly charity fundraiser encourages ​college football fans to make donations to New American Pathways in order to shame their rivals. One Tennessee fan made a $42.50 donation, which was Peterman's passer rating during his freshman year at Tennessee. 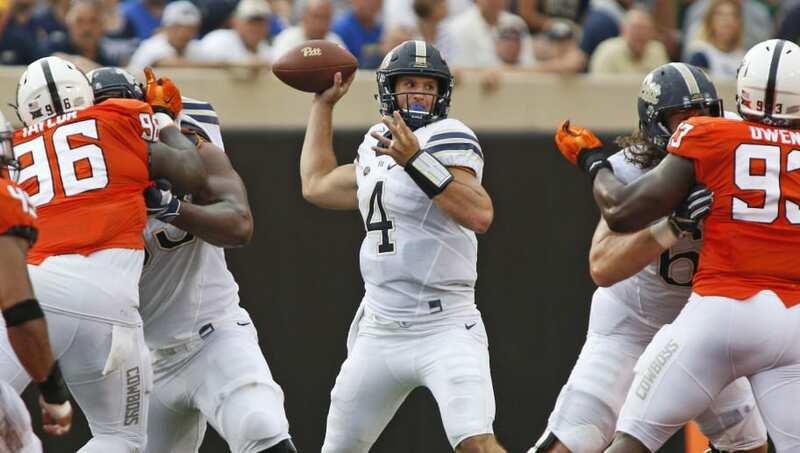 One Pitt fan had the brilliant idea of starting a GoFundMe in order to raise $163.40, which was Peterman's passer rating during his final season at Pitt. The fundraiser hits it's main goal within two hours. In response, they have since upped their goal to $302 dollars, which comes out to his passer rating from his junior an sophomore seasons combined. It's nice to Peterman name in the news for something positive rather than some cruel jokes. If you want to contribute to a good cause in while defending the honor of a quarterbacking immortal, you could donate behind ​this link.